One of Carlos Castaneda 's books, The Wheel of Time is full of nice ideas. Here I relate some of them that apply to our students. If some of them sound a bit too mystic, well, just ignore them. A warrior-hunter, on the other hand, knows he will lure game into his traps over and over again, so he doesn't worry. A warrior acts as if he knows what he is doing, when in effect he knows noting. Enjoy more of such experiences at English3Day. 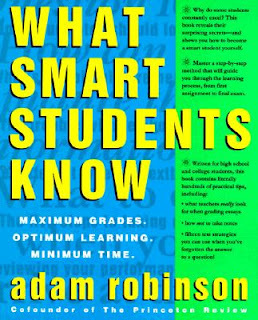 Kumon Method -- Examples and "Cheating"
In one book, it is said the founder (Mr. Toru Kumon) made a sensation among the students for allowing them to use "cheat books," books with answer keys and worked out solutions. 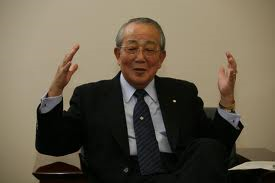 In another written by one of his sons, Hiroshi Kumon, the author said that his father let him use his older brother's books to see how some problems were solved. See that philosophy in action at our web site English3day. Kumon Method -- How Many Worksheets? 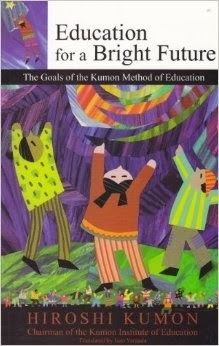 A few weeks ago, I was reading books on Kumon Method. At the back of a book, they showed a sample curriculum for Math and English for North American continent. In particular, I checked to see how many worksheets they used per year and per subject. And I noticed that moving in English from very simple sentences to rather elaborate sentences took about 400 sheets times 5 years plus 200 sheets times 1 year. It totalled to 2200 worksheets. I couldn't help recalling how I had journeyed across that distance with nothing more than 6 or 7 A-4-size grammar notes of my own, based on a few grammar books I read in those days. Do we need 2200 or do we need 20 worksheets? Some Kumon official books suggest that their content is designed "top down," with the end in mind. The end is towards to High School materials. I wonder why they don't also consider life that happens before the high school. In a previous post, I've hinted that the Kumon Method cannot prepare you for life after the high school etc. Since they cannot extend their scope far enough, can they shorten or narrow their scope too? What about the important exams the student will face this year, this month or this week? Pragmatic teachers will appreciate the need to create immediate short-term results and wise teachers will be well aware of life that doesn't end once you get your PhD's. Some Kumon official books suggest that their content is slimmed down, streamlined and minimalist. It 's designed "top down," with the end in mind. The end is towards to High School materials. I wonder why they don't extend it to life after university. eg. You dropped out like Steve Jobs, or Zuckerberg, or Larry Ellison, or Bill Gates. e.g. You didn't even get to the uni like David Karp ( founder of Tumblr), or Matusshita or Andrew Carnegie. e.g. after your PhD's like Feynman or Kerry Mullis or Robert B. Laughlin. Try and appreciate the Yoda-speak. Sometimes, it contains the best solution to your "speed" or "slow" problem, in studies or in life. "the majority of the 4,000 Singapore citizens who took part in an Our Singapore Conversation exercise in January were prepared to trade off economic growth for a slower pace of life"
Einstein, Niels Bohr, Leonardo da Vinci etc were slow, and good. 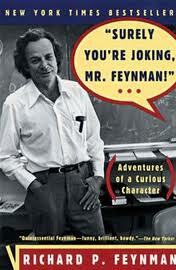 Feynman was fast, and good too. Bruce Lee was young and fast, and good. Morihei Ueshiba(Aikido founder) was old and fast, and good too. Steve Jobs was extremely slow and late and good. Instagram, Facebook are fast and good too. Toyota was slow and fast and outran all US car makers. F1 racing teams are fast. The Manhattan Project was fast. Samsung is "sashimi" fast and outran Nokia. Slack by Tom DeMarco maintains that you don't think faster because you put more pressure on your brains. However, Feynman seemed to think faster under pressure. Great skills can still lead to weak or nearly useless products. When you don't understand your domain properly, or if you don't plan ahead for changes. I don't make money teaching design. But developers, software business owners should listen to Hoare, David Parnas, Dijskstra (small head), Eric Evans, Peter Coad, Richard Feynman, Rasmus Lerdof, Linus Torvald, Charles Simonyi (MS Word, Intentional software). Scott Bain, Kent Beck etc. If they don't know them or won't listen, they should not be in software business, right? Can anyone claim to be wiser( streetwise or worldly wise or whatever) than their collective wisdom? On bitbucket, google code repository, GitHub, I find a lot of django/GoogleAppEnginePython codes for almost anything: social network, forum, message board, LMS(learning mgmt system), ERP, CMS(content mgmt system), wiki, quizz, collaborative writing, shared whiteboard, mobile app etc. Shouldn't we extract some value from them? As we all know, Python is not Perl/PHP or even Java. It's very good-natured language. Log-in, log-out from App1, quiz from App2, friendship invite from App3 etc are there for us to mix and match as our kids play with Lego. If some of us can find a business model to go with that Lego-style app, we may make some money for us. Does anyone have some guide/advice for that kind of not-cut-and-paste but rip-off-and-rebuild development? HAPPY NEW YEAR! "Ok. Find me something that looks like this. (1) It's free and online. (2) I type main question, then choices, including if necessary, images too. And the answer. (3) I can add as many question I like. (4) I can print it out, and it comes out nicely. (5) I can let my students practice there. (6) There can be tip/hints for students. (7) Answers are graded. (8) I can edit them. (9) I can download my question sets. They work offline too! (10) I can go on, but this should be enough. This is 1 of 1000 things we can do for education/training etc. So I have no need to protect this. ... Please don't mention SCORM, IMS, Moodle, Atutor, Coursera, hot potatoes, whatever. If a nice thing is there, why would I code or ask others to code." They cannot find. Mine is world's first and very good. Still they don't want to work for me for 8 hrs * 15 days for free. They cannot see the benefits. In boxing, the boxer with 10,00-hour practice beats your lazy son. In MMA (mixed martial arts), the fighter with 10,00-hour practice has no such guarantee. In battle mode, even Nai Khanomtom can be captured alive by the very weak Burmese soldiers. (In kick boxing, 1 on 1, Nai Khanomtom easily beat 10 Burmese boxers in a row). Only in silly exams, work-hard folks beat work-less folks. In good exams and in real life or real battles, trickiness/ creativity pays ... very handsomely. (2) How many golf courses in China? Guesstimate. Your English is lame, your level is something like, "My father is U Hla, He's about 40 years old. He is kind and helpful. He works hard for our family." And you know a few silly individual sentences like, "This is the House that Jack built," etc. Some of your school mates have even better English. You refuse to spend less time on FUN and more time on studying English. You insist on scoring well on English essays. Software be a lot cheaper, a lot , a lot faster and a lot, a lot ,a lot better. Impossible guy? This is what happened with English essay. It takes no brain to use "and," "or," "but," "so," "therefore,"? No brains to use "if," "when," "until," "as long as," "because," "since," etc? No brains to reformat "This is the House that Jack built" into "Father is the man who provides leadership for us." No brains to extend "Mather is the woman who provides management for us." First, if I did read something originally in English, I deserve 10% more marks AUTOMATICALLY. Second, if, most likely, I got the idea in Myanmar, but translate the idea into English, I deserve 10% more marks AUTOMATICALLY, too. S/he has no ideas all this come from "This is the House that Jack built." Now about better, faster, cheaper software! I am too lazy and too fun-loving to think up "original" ideas. But they say a lot of companies have done just that repeatedly. Why not us? I refuse to learn. I insist on winning. I promise wins. Join me if you can! This was written a few weeks ago. This doesn't reflect our current situation. I am at a dead end. I never thought things could be this tough on this front. But I am lucky because I can see irony/humor/joke in every situation, including this one. My usual trouble is I see and SAY things about 5 years ahead. I cannot/ will not wait to say what I've seen. "Math is easy," I said, even when I was struggling with simple sine and cosine etc. "Chemistry is easy," I said, even when I was struggling with periodic table and valencies. "Literature is easy," I said, even when I was struggling with the question of whether to use "aim to win" or "aim at winning." "Linguistic is easy," I said, even when I was struggling with John Lyons's summary of Chomsky. "Software is easy," I said, even when I was struggling with how to switch on a PC, how to print 1 to 10 line by line !!! "A software business is easy," I say, even when I am struggling with how to run an EC2 instance etc. People see my sweat, my shaky fingers, my grim face etc. People see I was having lots of fun. What are we going to do about education? Every newborn fish can swim. But every newborn Myanmar doesn't read or like Nat Shin Naung/Nawaday right away. Every newborn Singaporean doesn't read or like Water Margins, Han Fei Tzu etc. Education is an ongoing business for every new generation. A lot like tax-prep software business. Every new year is a new business. The title is a phrase from Peter Small's writings. I could not and did not bother to pronounce English correctly. I ignored phonetics and phonology because I lacked ability. But that has not prevented me ( so far, at least)to do anything I want with English. Now I want to get big in software business. I cannot do phonology-like coding. Will that prevent me from expressing my self? Do I need phonemes /a/ vs /o/ vs /u/ to express my romantic love in sonnets? my patriotic love in dramas? my sense of humor in Seinfeld-like, Keaton-like, Bean-like acts? my observations in Lamb-like, Thurber-like essays? I have a bottle of H and another bottle of O and a kit with which you can combine that H and that O? Will you be quenched and satisfied? Or would you like just a bottle of high quality water at the cheapest price in town from me? Education is a bit more complex than H2O. Yet many pieces are there, almost free. Who will mix them into A drinkable, usable form? Why not us? My heart sings with software. Software is my heart. I live or die with it. One day, you just whisper into a screen and my Abracadabra will come out to serve you like the Genie of Aladdin's Lamp. I want to reinvent Moodle. I want to retain about one-fifth of its features and do it in Django. It will be better than Khan Academy on Google App Engine! Cheers! 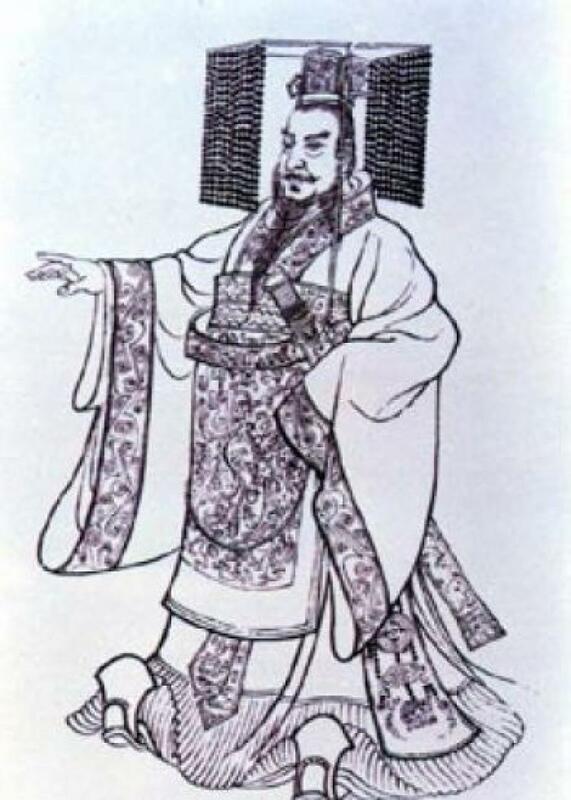 Cao Cao was a famous warlord during the Three Kingdoms Period in Chinese history. At one time, hist troops were camping uneasily, there were alarms throughout the day and the soldiers were too fearful to sleep as the night came. Cao Cao told them that he knew there were enemy troops nearby far outnumbering them, that they had seen him outwit the enemy many times before in similar situations. Finally he suggested that they "put their hearts at peace and have a good night's sleep" for the coming battles. This is the voice of True Hope. This how Andrew Carnegie added meters to his rather diminutive stature. This is how I intend to sell my vision, my ideas, and my products. Are you feeling a lot of pain? Often I instinctively use what I call "vision flanking." "Flanking" is a military term, meaning avoiding the other side and going around it. In vision flanking, you stop seeing the other side, and they do not even belong in your sphere of existence. For example, in 20 hours after I got the transfer order to move from Yangon to Maw La Myaing, the English Department or the English Major not longer exists in my Universe. The Dept/Major can no longer help me or harm me, it felt very cool! It still feels cool. Yes, I still love it and its people, I still owe lots of gratitude, I still keep fond memories. Still we live in different Universes. For example, some online programmers' groups in Singapore were full of hostile souls. It was hard for me to participate there. Their method seemed to be to subscribe to Google Alert, then post those links back to their Groups. No serious, substantial discussions or collaborations were possible, at least during my time there. For a non-attacking type, it is lucky that I was born with this "vision flanking." I'll flank to better universes whenever I was made to feel whatever pain. I told an EDB conference in Suntec City in 2005, a few days after my wife and son arrived in Singapore, about our intention to "change the course of human history." Am I used to lying, boasting or madness? A new chapter, a new journey has started already. Dangers and risks are there but no fear. Loneliness and sadness are there but no bitterness. So, there is a good deal better chance to prove my BIG WORDS. Our software/programming team was having World-class problems, i.e. there are no solutions yet on Google, StackOverFlow, Quora, and many other online forums and discussion groups. Is my design technically not feasible? I joked, "That will work because I am the CEO". It's Steve Jobs's line to argue with his Engineers. We solved the issues we had with Django ORM, by borrowing some techniques for Fowler's Patterns of Enterprise Application Architecture and some techniques from J2EE world. I did a lot of recruitment on Facebook in recent weeks. When our team grows, of course, our receptionists and canteen staff will have PhD's and know Hadoop, Cassandra, MapReduce, R and lots of Big Data statistical packages. From Hadoop to Excel, the space is a bit very wide. Our team hope to score some nice goals. Any one, who has learned Excel or Hadoop or WHATEVER for 2 or 3 days, are encourage to join us! For the time being, we accept candidates without PhD, so hurry. Suppose I run an online magazine/journal/news. I can write 30-50 articles a day. But shall I have time? Time even to type those articles? Upload relevant pics etc? Programming is as easy as typing. So, if you can type and read English, you are qualified to be a programmer in my team. We will train you. We'll let you attend SG$ 600 worth ITE classes, Poly classes, and even degree courses abroad. Earn our trust, prove yourself. Not months, just weeks. Take risk with us. We are not asking you to sign a contract that will enslave you to us for MONTHS or years. I'm recruiting programmers. But no experience is required. Software/programming is so easy with us that we can teach/train any Myanmar High school or Singapore Secondary student. This is a big opportunity. My credentials : (1) I have been a student of AI for decades. My better credentials : (1) I cannot climb trees. But I have trained 3 or 4 kids to climb trees about 20 years ago. (2) I cannot draw but I've trained a few kids to draw, and so on. So, though we intend to do only web apps right now, if your kid is bent on Assembly or Haskell, we won't stand in his/her way, but will even facilitate his/her speed. In every soldier's bag, there is a marshal baton, Napoleon? Any one who joins will be helped to grow as fast as they can,as far as they can!!! 6-dollars-per-hour staff with 3 or 4 days of training. You can pay for them too. But to become McDonald, you need a system, equal to or better than McDonald system. Do I have a system to play in big league of software with ordinary programmers? By the way, who am I? A very lazy, very ordinary kid, now an old guy. But I search or build or dream up nice cool systems. Let everyone know. No experience required. No commitment required. Only these requirements - you live in Singapore, you can read and type. You can work about 4 hours per week at home and 1 hour per week at our place. In old days, Mr Sim Wong Hoo (Creative Technology) went to America to sell and to build a world-class company. Recently, I read in the papers, an SMU student making cold calls to get intern at Silicon Valley companies, getting an internship at a 4-person company, and flying there on his own money. Gradually, he got a full-time job there. I predict 100 Instagram's from Myanmar and Singapore each. And when you predict something, you must also know when/how it can go wrong. Instagram came from another bigger app by Kevin Systrom, called Burbn, according to this month Fast Company magazine. Burbn is a clone of all popular app features at that time. Singapore programmer Chang Sau Sheong, in "Cloning Internet Applications with Ruby" book, has done a Burbn like app already. There are many equally capable developers in Myanmar and Singapore. I admire the source code of Django, Tornado, NLTK, boto, etc. As many of world greatest coders in history advise, their logic/code is "dumb" and therefore good. When I coded shopping cart, CRUD etc, my logic/code stayed "dumb" and good. But when I moved even a bit farther, e.g. FSM with Pygame, an exper system etc, my logic/code became "clever," complex and unstable. I've thought about and studied this for years. Our team is training to be a world leader in software -- both biz-wise and techno-wise. Anyone interested in becoming better programmers are welcome. We are humble to learn and generous to share. But for the time being, others have been making good money with Excel!!! Yes, Excel!!! In Myanmar, in Singapore, and in New York (and in Wall Street ) !!! From Hadoop to Excel, the space is a bit very wide. Our team hope to score some nice goals. Any one, who has learned Excel or Hadoop or WHATEVER for 2 or 3 days, are encourage to join us! For the time being, we accept candidates without PhD, so hurry. One of my friends gave university tuition while he was still a university student. Only very good students could do that. And I also did that. But then, since he has far better social skills than me, I sometimes asked him for advice. On one occasion, I said, "Some of my students do not like my best works/essays at all. What do I do?" He replied, "That happens to me too. What is good for me, they may not like it. Some shoddy works, they liked them a lot." Modern software follow similar steps. You create commodity software or use them for free. You turn them into building blocks(Lego-like pieces) of your application. You weave. mesh, gel the Lego pieces into useful apps. Then you sell these apps. In 1995, I checked 7 TOEFL/IELTS brands, not books, and knew right away it is easy to do World Best classes there. Last 3 days, we checked 5 world best online education sites' database schemas and became relieved and happy. Data models, domain models are heart and brains of web software. Our team is happy in this area. How High-tech do you want to go? I am starting a "very-very-very-hi tech" software company. And I am recruiting ordinary programmers (though I won't reject anyone as "over-qualified.") These 2 facts are not contradictory. A CFO of Dell once asked, "How much techno do you need to own to compete? " 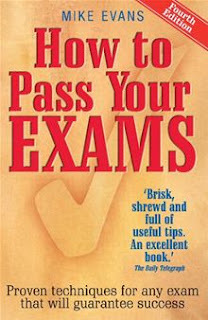 As students, you yourself might have asked, How many books do I need to read to compete well in the exams? Even in high-tech business, you can compete well without relying on technology. Let's see. You can pay for 6-dollars-per-hour staff with 3 or 4 days of training. But to become a McDonald, you need a system. I admire the source code of Django, Tornado, NLTK, boto, etc. As many of world greatest coders in history advise, their logic/code is "dumb" and therefore good. When I coded shopping cart, CRUD etc, my logic/code stayed "dumb" and good. But when I moved even a bit farther, e.g. FSM with Pygame, an expert system etc, my logic/code became "clever," complex and unstable. I've thought about and studied this for years. Our team is training to be a world leader in software -- both biz-wise and techno-wise. Anyone interested in becoming better programmers are welcome. We are humble to learn and generous to share. Love and Thanks to all. If salesforec.com is not that combo, what is that? If Flickr is not that combo, what is that? If Evernote is not that combo, what is that? I have given you proofs, please join us. Even if with half a man, we will get to our goal. But, still we want you. Join us! E-learning is a truly virgin soil. No one has conquered it. It is at a free-for-all Wild West land grab stage. At a group size of 2 - 5 people don’t focus on scalability issues. Focus on features. Make your product great. Get people coming back to it. Keep things simple both technically and in the product until you know absolutely what you need to build. A lot of the features they’ve built to solve and edge case turned out to cause real problems in the long run. It’s hard to turn things off once you build them. And I arrive at the same conclusion, with a higher degree confidence. I have a blog, but why bother promoting my blog. A current online learning app typically has about 500 features. Combine the best/top 5, you get about 900. I can easily think up 20,000 features. But will users find all of them desirable? e.g. Vary your lessons according to learner's learning/cognitive styles? What does NLP say about a student looking up/down or right/left? We can capture user's eyes and gesture with Kinect, or some other game SDK's, but should I? So, I number such features Feature Number 10,001 etc. What does Vygotsky say, Shaolin monks say, Feynman say, James Watson say, Carl Jung say ...... ? Ok, Features Number 12,001 and 3 and 4. A journey of 20,000+ features starts with 3 features, huh, so lonely! So exciting! Whatever it takes, anything within morality bounds, ... I can and will dance, sing, talk, cajole, threaten, plead, .... code, test, deploy, design, debug, refactor, prefactor, re-architect, .. ok ... ok till it becomes World Class! Black strategies are self-defeating and so we need not study them. And on business side ... I don't want to carry on. Just have love. Just have faith. Even be naive and innocent. You'll be alright. Do not challenge the status quo, do not struggle with a force that is not innovative, free-spirited or individual. with taking a position and creating options in a very dynamic situation. because viewed at the correct level, every variable, every system slows. unstoppable leading this way ..
Prof Noam Chomsky on BBC: If we don't know enough, we call it linguistics, metaphysics etc. When we know enough, we call it physics. 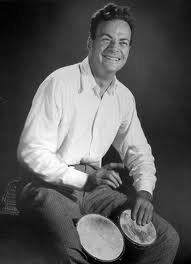 Richard Feynman: If we can't explain it to intelligent high school students, we don't really understand that subject. 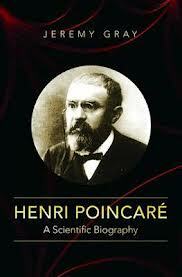 Another Nobel winner in Physics: we call this course 'advanced', because we don't know about it really. So, please, teachers, be honest. So, kids, if your teacher says 'this is tough,' feel sorry for him/her and be helpful! Suppose Qin Shi Huang, the first Chinese Emperor who built the Great Wall, and Hitler were alive and running fast food restaurant chains and were after your small fast food joint, I'd still ask you to relax. True they had far better eyes and ears and spies. True they had far better brains and advisers. That's exactly there where the fun begins for you and me. Qin Shi Huang knew every road and driver in his land, he knew very boat and boatman in his empire. He knew all about medicines, diseases, weather, and seasons. Still he'd go to the South China Sea and died. 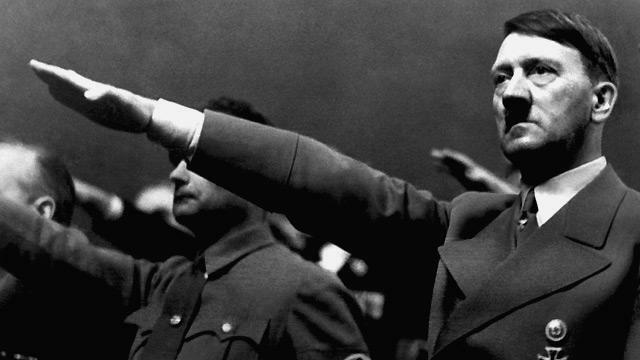 Mr Hitler knew even Tibet and Myanmar. So he definitely also knew about Russia, her weather, her roads, rail lines and Russian tank production figures. Still he'd go to Russia in winter and fell. They could not trust their own eyes and ears and spies and their own brains and advisers.There, the fun began in history and the fun begins for you and me at any point in history. They even used their hands in very similar ways, funny! "In educating people, the most important thing you can teach is not facts, not knowledge, but human dignity. This will awaken them." I am quoting direct from Velvet Glove, Iron Fist and 101 Other Dimensions of Leadership. A comparable quote may be Antoine de Saint-Exupery's "If you want to build a ship, don't drum up the men to gather wood, divide the work and give orders. Instead, teach them to yearn for the vast and endless sea." Quand tu veux construire un bateau, ne commence pas par rassembler du bois, couper des planches et distribuer du travail, mais reveille au sein des hommes le desir de la mer grande et large"
I want to write a lot about software and software business. And I have to restrain myself to stick to my target audience, you : young students and your parents. This post is about software but you will find it easy to understand and useful to your study. Writing clearly is very important. How important? 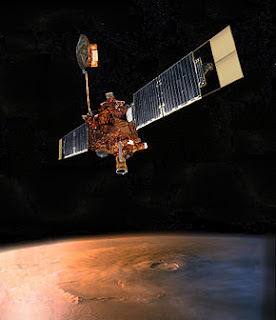 Not doing so can crash expensive space crafts, like the crash of Mars Climate Orbiter in September 1999. That just cost NASA US$ 125 million. I got this example from Streetlights and Shadows: Searching for the Keys to Adaptive Decision Making. It's a wonderful book, full of inspiring examples for young scientists, students and entrepreneurs. What the Crash Had to do with Clear Writing? Mars Climate Orbiter's software mixed up between English units and metric units, between feet and meters. 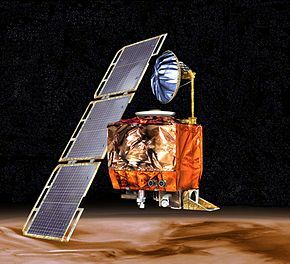 The authors of that software borrowed some pieces from the software of a previous mission called Mars Global Surveyor. The part that caused the problem is called "the thruster equation", which does conversion between feet and meters. That must be a very simple, clear, short piece. What so special about conversion between feet and meters after all? Pieces of software are just like paragraphs in a long story. If you write clearly, they read like paragraphs in a good story. You know what each means, which parts of the story are where and so on. If you are careless, undisciplined or irresponsible, any reader will trip, slip and fall among your lines and paragraphs. And your software may down a plane, shut down a bank and a hospital, or even crash some space missions. So, why not start a good habit now. Let's write a bit more clearly starting from today! Mars Global Surveyor with s a bit messy software. Mars Climate Orbiter that crashed into mars. How do you want your kids to learn Math? I don't have a formal education in Math. And if you don't too, these books can help you. At least, you will be able to teach your kids to relax. Just a few minutes for each difficult book! Work hard, intensely, compulsively, obsessively and of course, productively and insanely? 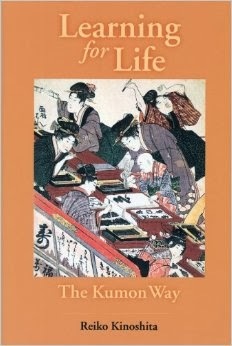 Work in balance, work having a life and productively too? You have a choice, your kids too have a choice. When you have to read difficult stuffs, remember this useful advice, by Geraldine Price and Pat Maier in Effective Study Skills, 2007, page. 271. You should "assess the knowledge you bring to" the text you're using now. Is your background knowledge, prior knowledge sufficient for the reading task at hand? Instead of persisting too much, too long, you should switch to "a text which gives you more help and briefer, more broad-stroke explanations." They give as examples: Idiot's Guides, "A" level texts (the authors are writing for university students.) Their special examples are Sattre and Heidegger. My examples are early-day linguistic books and Java, Visual C++ books in the late 1990s . Such books were written before the fields were mature and thus the authors themselves were unsure of their knowledge. In other words, they were bluffing. This happens in every field of study though. 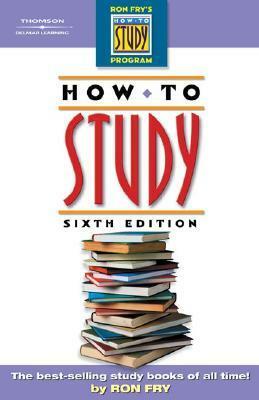 How to Be a High School Superstar, by Cal Newport, 2010 : Read a different textbook. The key lesson here is : Find something more digestible for you. If the going gets really tough, here is another advice, by Heather Cooke in Success with Mathematics, 2003, page 37-38. 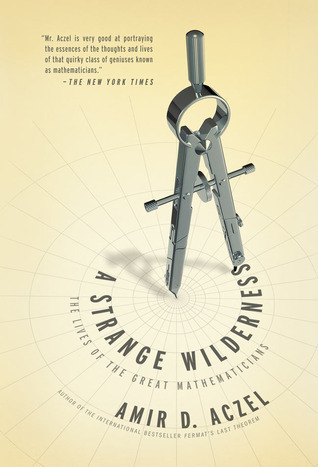 "try to do it [a worked example] yourself without looking at the book's solution"
"To understand something new, ... write it down ... "
Write out a difficult passage. The key lesson here is : Slow down, take your time, relax. Here is another advice, by Peter Levin in Conquer Study Stress, 2007. Regard reading as a treasure hunt: Look for clues, checking our their helpfulness, and keeping your main aim in mind all the time. Read breadth-first. Skim for the gist, scan for key details. One more advice from Take Notes by Ron Fry, 1997, for reading technical texts. Backtrack a lot as you must expect a lot of wrong turns. Go trail and error mode. Slow down and tie up what you've just read and understood. Translate formulas, numbers etc into different words. Explain your understanding to a toy or a friend. Play around to uncover different paths to the solution. casual reading : newspapers, friendly personal mails, sales letters etc. slow reading : technical articles. Here, you pause a lot more often, and you consolidate your intermediate understandings more often. Group A fare better than the Group B in the tests that followed the reading period. Secrets of Getting Better Grades, by Brian Marshall, 2002, 2nd edition. After every 15 minutes of study, take a 2-min break. Ace Any Test, by Ron Fry, 2000, 4th edition. 1. Study when you are fresh. 3. For a psychological boost, reduce the pile of books, papers etc into simple notes. How to Win at College, by Cal Newport, 2005. Keep a work-progress journal. Every night, jot down scheduled and actual accomplishments. This practice helps to hold you accountable and to hurt your ego. Relax at least half an hour before you go to bed. 1. Make sense of the key ideas in what you read or hear. 2. Recall and review periodically. 1. Quiz yourself and answer loud. Arouse desire for what you want to remember. Chunk and encapsulate. If necessary reformat the input. Make sense, find meaning, relate new materials to your existing knowledge..
Make a cue to easily re-activate what you've just remembered. e.g mental pictures, mental movies, tunes, rhymes, acronyms, etc. Use it, apply it in real life. Audio loop e.g the way you remember phone numbers. We will elaborate on each of these principles later. 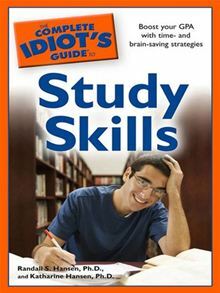 When you have to read math textbooks, workbooks etc, remember this useful advice, by Randall S. Hansen and Katherine Hansen in Idiot's Guide to Study Skills, published in 2008. I lifted the following points from page. 130. Read in order. When you find something tough or confusing, the usual culprit is that your have skipped over some points before this one. Go back and study those points in detail, and then come back to the current problem set. Pay attention to illustrations, formulas, proofs, theorems, definitions, etc. These save you a lot of explorations that you will otherwise have to do on your own. Can I change my style? Can I improve my style? Can I learn or acquire a new style? Which style is best for what learning task? Don't ask a good question. Because scholars, researchers, book writer usually leave them for you yourself to answer! "Do we have more than one style?" "Can I change my style?" "Can I improve my style?" "Can I learn or acquire a new style?" "Which style is best for what task?" As I have warned you before, you yourself will have to to answer these very good, and useful questions. We'll come up with more help in later posts on this blog. Pin down your fleeting and ephemeral thoughts and possibilities. Stabilize them: "What do I know?" "What do I want?" "I wonder if ...." "Maybe ...?" And it affords you an easier access to them again later. Wait before you have formed an image in your mind. Try an example to detect a pattern. Try something smaller, simpler, more restricted, more special, or partial or auxiliary. Vary many aspects to get a sense of the original question. Vary many aspects to recognize variants in future. e.g. What aspects can be changed? What is the range/scope of variation? In what ways can a given aspect be changed? Ask "Why stuck?" What do you already know? What do you still want? Can you bridge between the known and the unknown/wanted? Simplify: Break it down. Substitute simpler/easier words or numbers. What else do you think you need? kind of information? from of information? Say it out loud or talk to a toy. Use the given/worked solution a bit. Take a break, do something very different. Skip, later studies may help. After you have solved something that got you stuck for a while, do post-mortem. 1.What helped to get you going again? 2.What led you to getting stuck in the first place? By Matt Bardin and Susan Fine, 2005. They suggest walking through the open door, swiftly and with confidence. "The open door" is a metaphor for those "pieces of the puzzle that make sense" to you right now. You should try them one at a time, and do only what comes easily to you. "Find More" means "finding more meaning in what you see, hear, or read". When a lesson makes sense to you, you can remember it with less effort, you can apply it with less effort to solve a problem, and thus you can get higher marks with less effort. Books and teachers will make effort to help you understand. But it is your duty to put in this effort. If you don't understand a thing, don't force it down your brain. Refuse to do so. Einstein refused, Watson(DNA discoverer) refused, many great scientists and almost all great business people refused too. If a book can't help you understand, change to a different book. If a teacher can't help you understand, change to a different teacher. Words are not much help, explanations are not much help. Let your child feel, see, hear, smell, taste what it is really like to understand, to find meaning. 1 .Let him/her read this list for 1 minute and then ask him to recall them. There are 12 items in the list. Feb, p6, Holland, pen, p4, pencil, Spain, paper, Germany, January, p5, March. 2. Show him/her read this list for 1 minute and then ask him to recall them again. (pen, pencil, paper), (p4, p5,p6), (Spain, Holland, Germany), (January, Feb, March). 3. Show him/her read this list for 1 minute and then ask him to recall them again. (pen, pencil, paper), (upper primary classes ), (Spain, Holland, Germany), (first 3 months). (pen, pencil, paper), (upper primary classes ), (this world cup 1st, 2nd, third winners), (first 3 months). 4. Ask: Why does the step 3 become easy? 1. Ask them to memorize this table. 2. Tell them that (1) first column has only 3 digits (2) first column begins with the smallest 3-digit number i.e 100 (3) second column is twice of the first. (4) 200 + 100 => 300 and 600 + 100 => 700. 3. Ask them if it has become easier to remember and if so, why? 1 .Let him/her read this dialog for 20 seconds and then ask him to explain it in his/her own words. A: Do you have children? B: 2 kids in primary school. A: That's fine. Do you have any pet? B: 3 pets. 2 dogs and a snake. for 20 seconds. Then ask him/her to explain it in his/her own words again. 3. Ask: Why has the task become easier? 1. Teach this formula very quickly. 2. Ask them to solve such a problem under "Speed" topic in P 6 maths. Are they ok? 3. This is what happened in one class where the teacher gave no formula at first. They were given no formula. Most of them got stuck/stumped. Only then, after 2 or 3 minutes, they were reminded to make/find their own formula. They were reminded again: "Sometimes smaller numbers help. Sometimes they don't. If stuck in the same type of problem, change the type, change the nature of the problem." 9 a.m. ------------------------------------------------------ 9 a.m.
10 km, 4 km/h, 6 km/h, 1 hr??? distance apart / two speeds = time to meet ??? Because they were a bit tired, the teacher confirmed their formula instead of asking them to verify it with another example. 4. Which class, the first or the second, do you think have a better chance of recalling and applying the formula in different situations? Which have a better chance of solving things future? 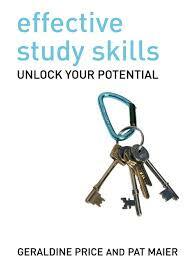 We've been trying to be the best of the world for Study Skills at Primary and Secondary/Middle School levels. Not for ego. Not for profit alone. Please send us your ideas, suggestions, comments, your problems, difficulties, and struggles. Are you struggling with some subjects at school? 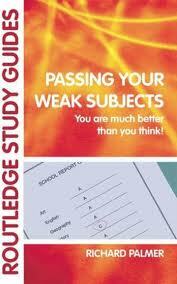 There is a book specially written for such struggles, titled Pass Your Weak Subjects, by Richard Palmer, 2008. Use mind maps, diagrams, flow diagrams. They contain a lot of information and help in visual learning. Use mnemonics, devices that help you retain the new information you've just picked up. Do lots of examples. Study worked examples. Stop when your targeted load/quota is done, celebrate. Don't burn yourself out in ambition and greed! Pay special attention to and master key equations and phrases. Such phrases cover key concepts. 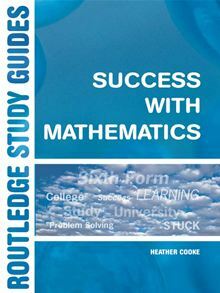 Master key math concepts and skills. "How to Be a High School Superstar," by Cal Newport, 2010. Make good notes to save time and effort later. Thus, you imbue the middle section with meaning and motivation. Again, you imbue the middle section with meaning and motivation. Note-taking during Class: "Secrets of Getting Better Grades," by Brian Marshall, 2002, 2nd edition. Use circles, arrows, blocks, etc.. Capture the essence. Listen for word clues, emphasis, repetitions, what's written on the board. Taking Notes during Class: "Ace Any Test," by Ron Fry, 2000, 4th edition. What is unknown to you? Sort: relationships between the points. 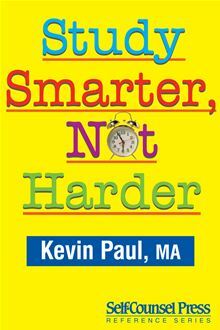 Taking Lecture Notes: "Study Smarter, Not Harder," by Kevin Paul, 2009, 3rd edition. Key words, in your own words. Flexible, non-linear arrows to link points. Spaces to fill later: With what you might have missed, With our own insights, etc. We have reviewed so many books, principles, methods and techniques for doing school examination Math. We have tried them out with our classes and have found some of them useful and practicable. Here we are sharing those battle-tested. proven methods with you. This week, we're discussing the method of starting with the doable. When reading a math problem, sometimes you can see all the way through to the solution. On such occasions, you don't need any help. But at other times, you feel stumped or overwhelmed. You may even become panic-stricken. How do you control such unhelpful feelings? You need to remain calm and even a bit hopeful. 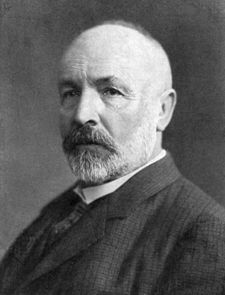 In How to Solve It, George Polya calls the development of such emotional muscles an essential part of a student's mathematical education, insisting that a maths teacher should not fail in this responsibility. Easier said than done? Yes. Exhortations, preaching, theoretical explanations alone will never do. We must make the kids see and feel for themselves. With advanced or mature students, the teacher may even model such emotional stability behavior. 1. Imagine you are in a very important exam. You get 3 minutes to answer the question below. 2. "For how many three-digit integers will reversing the order of the digits yield a two-digit multiples of thirteen?" 3. You don't need to solve this actually. Just record your own emotional reaction and that of your child. Answer: The question comes from "Zen in the Art of the SAT" by Matt Bardin and Susan Fine, 2005, page 7-9. It was meant to freak out the typical SAT taker and to invoke their Maths anxiety. If you decide that the question is too much, too high for a P6 student, how can you make it more approachable? 1. Which of the following are the multiples of 2? 2. Which of the following are the multiples of 13? 3. What are the first 8 multiples of 13? 1. The following is a list of the multiples of 13 from smallest to biggest. Pick out the "two-digit multiples of thirteen"
1. You need a three-digit integer and you reverse the order of its digits(e.g. 912 becomes 219) to get 13. What is that three-digit integer? 2. From which three-digit integers do they come from? Their moral from this is to walk through the open doors and look for such doors patiently and with optimism. "You may think there's something great behind one of those locked doors, but if you can't get to it, it's useless. The open door is the only one that provides a point of entry." 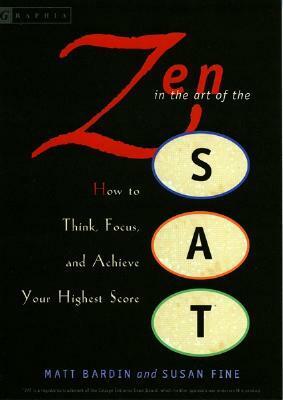 page 7-9, Zen in the Art of the SAT by Matt Bardin and Susan Fine, 2005. My moral from this is : most of the times a complex problem is nothing more than a bunch of simpler, smaller problems. Can you help your kid look for and find the smaller ones,the open doors? Can you teach your kid the right time, the right place, the right way to give up and search for the open doors? 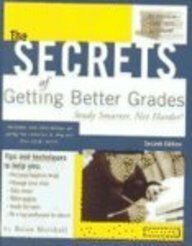 "Secrets of Getting Better Grades"
Secrets of Getting Better Grades, by Brian Marshall, 2002, 2nd edition has many useful tips for study. It shows us how to do note taking and reading with purpose. Preview: Select, look for structure. Skim: Overall ideas, specific locations. Scan: Main ideas, key details. Intensive: You can almost re-create, re-construct what you've read. Study Less, Learn More by Benson Soong, 2006 is a good book for young students. This single line is worth the price of the whole book: Format of the input determines the ease of absorption, understanding and recall. Format of the input determines the ease of absorption, understanding and recall. To memorize numbers, replace numbers with letters, words, or some other symbols. To aid memorization, put key words and phrases into acronyms. To understand concepts, well, ... I still can't differentiate between the three kinds of levers. This book is short and thin. But the content, the key ideas are gold. Teach Like a Champion ,by Doug Lenov, 2010 is a nice book. Well, I have to be positive. But the notes truly reflect what I got and what you are likely to get from reading the book. Make what you write on board look like what you want your students to write down in their books. Provide a missing step or a first step. Groupwise recall, review, chorus, reinforcement. Using your skills with vocabulary and grammar, you decode and deposit some facts and ideas into your short-term memory. 1. Provide some context or background knowledge. 2. Alert them to focal points, like a tour guide. 3. Front-load, that is, introduce key scenes in advance as in movie ads/trailers. 2. Solve bit by bit. Don't let problem or difficulty pile up. Ace Any Test by Ron Fry, 2000, 4th edition, is an excellent book. My son likes the section on Cramming a lot! 1. Set up a study routine for the kids. 2. Convince them of reality and real life. Set realistic goals. Be modest, don't be greedy, ambitious. Go for selective depth, not breadth. Decide when to go to sleep. Get up early. In the exam room, write down things during the first few minutes. What does the teacher emphasize? Read the questions at the end of a chapter. Ask why you should read this? Slow down with the new. Focus on what is highlighted. Maps, photos, drawings etc are key. Read the introductions and the first few sentences. Answer your initial questions, those question you asked yourself before you started reading. 1. Read the whole question paper. 2. Mark the easy ones you intend to tackle. How to Study by Ron Fry, 2005, 6th edition is a wonderful book for study techniques. The section titled "How to Read Technical Text" is particularly excellent. You may be reading to grasp a certain message. You may want to answer a specific question. You may be reading to evaluate what you are reading. You may be trying to find important details. You are only interested in applying what you are reading to your task at hand. Definitions, terms, vocabulary. They are the foundations. Examples. They help you consolidate your understanding. Visuals. They save you a lot of work. A picture is often worth more than a thousand words. Relationships e.g. classifications, contrasts, cause and effects, etc. Tie up often. Pause and stop to check and to solidify your understanding. Review and solidify often, especially with definitions, examples, formulas. 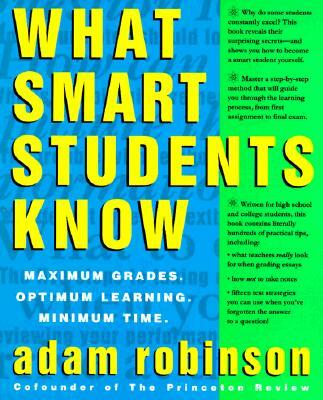 What Smart Students Know by Adam Robinson, 1993 is still fresh and relevant for today students. I recommend this section in particular : "What if You Get Confused while Reading?" What to Focus while Reading? What if You Get Confused while Reading? Return to the big picture. Backtrack. Retrace your steps to note the wrong turns you've taken. Guess, trial and error. Play around. Restate or re-formulate the problem. 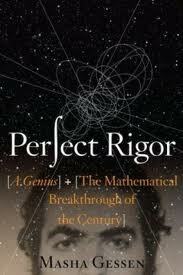 Reconstruct the problem in smaller or simpler ways. Our favorite trick. Today I am reviewing Study Smarter, Not Harder by Kevin Paul, 2009, 3rd edition. 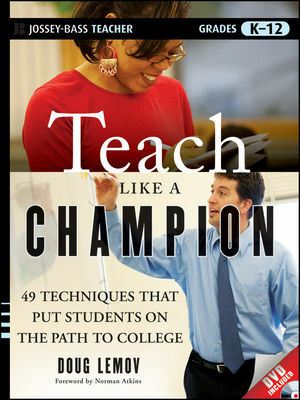 The book has a lot of useful tips for students at all levels. First all of, here come tow major findings from the book. Reviews: After every hour, After every half day, After every whole day. Read clues to know what to expect, what to look for, what to focus. Focus on the possible. Cut back your ambitions. Try to do just 2 new topics per day. Practice output activities i.e. write, speak, present, demo etc. Stop new input as the target date nears.